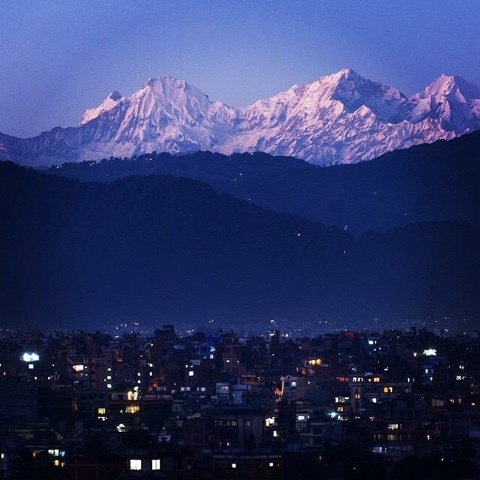 Many westeners have experienced the unique nature of Nepal. Reflecting on the recently earthquake-ravaged nation, which some see as a kind of spiritual cradle and wonders that amongst us will not just remember, but contribute to its long term reconstruction? On behalf of the Nepalese community I would like to thank you for your contirubiton. 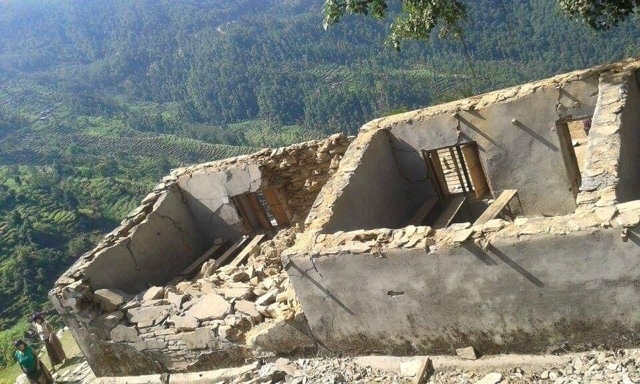 The extent of suffering in Nepal now and for the foreseeable future is beyond the comprehension of many of us basking in typical Australian luxury. Most of our community caught glimpses of the tragedy through graphic television footage, brief radio broadcasts and a few newspaper articles around 25 April, when a 7.8 magnitude quake devastated the capital city, Kathmandu, and smashed at least nine other districts. But while those images may quickly fade, anyone who has been touched by the Nepalese, their culture and their country, will not forget. They tug in a way words cannot fully describe. Such gentle people with their respectful greeting of Namaste, spoken with a slight bow and hands pressed together pointing upward. A gesture that means ‘I bow to the God within you" . Their civilization, immersed in Hinduism and Buddhism, is reflected at every turn through meager, daily offerings at footpath shrines, multi colored prayer flags disintegrating in the breeze and majestic stupas (temples) perpetually overseeing all. This faith keeps them going. Then there are the contrasts, although this is just a hollow clichéd word when trying to describe the fluctuating emotions that strike you when confronted by Kathmandu’s teeming masses, beggars lying in the open, domestic garbage piled in streets and clogging waterways, sacred cows and armed guards everywhere. Next comes majestic mountain country. Stony, wriggling tracks climb to gnarled villages and tiny terraced farm plots somehow cling to rocks on the edge of the world, as crystal blue air swirls from deep green gorges and impossibly regal snowcapped peaks. All this coexists in a poor economy with inadequacies and lack of resources in almost every area of human endeavor from government to water, sanitation and electricity supplies. And this is in the good times. So, attempt to grasp the situation’s gravity now. In the wake of the earthquake, authorities stopped counting once they tallied almost 9,000 dead, about 20,000 injured and, at one stage, more than two million people displaced. Meanwhile, much of Kathmandu remains rubble, numerous villages and rural communities are still shocked. At least 500,000 homes have been destroyed, several hundred thousand people are in need of basic shelter, food, water, clothing and medical supplies. People have been seriously destabilized, physically and psychologically. Yes, Australia was part of the international community that responded immediately to Nepal’s plight and began pouring in aid. Temporary tarpaulin camps and emergency help of all kinds arrived, but the April earthquake’s reality will impact for years. For instance, the next blow is about to land as the imminent monsoon season is expected to dump heavy rains throughout the country. 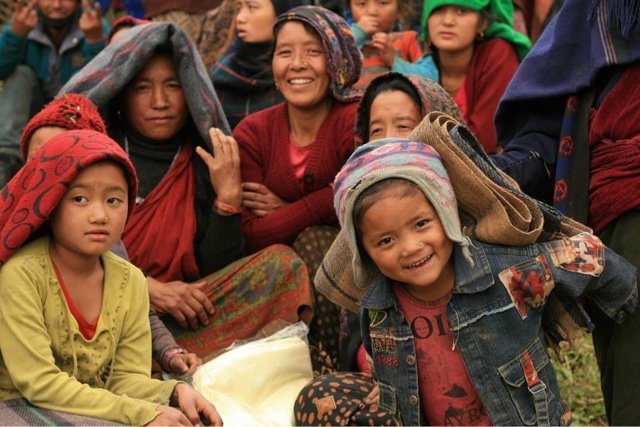 As Nepal’s monsoon season draws closer, aid groups on the ground are faced with a ticking clock, and not a lot of alternatives. The ubiquitous plastic tarps doled out by aid groups and meant to serve as makeshift shelters won’t withstand monsoon winds, Relief International’s Global Humanitarian Director Alex Gray told Devex, and Nepalese can’t use traditional construction materials — mud, thatch and stone — out of fear of a third installment of last month’s deadly earthquakes. Now the only option for homeless Nepalese is to build shelters out of corrugated iron sheets, which are hard to come by and growing more expensive. The Nepalese need much more than prayers. 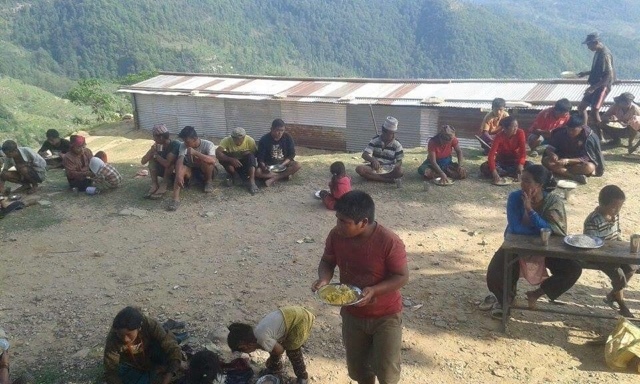 When I think today about Nepal, I know it’s suffering a national disaster but I see individual people. And when I look into the children’s eyes I see untainted innocence, beauty tinged with a strength that reaches back through generations and the light of a life so full of promise. Together with your kind donation we have raised Aust$33,000, well past the 1/2 way goal of $50,000, this is an amazing effort as it has only been 4 weeks since I returned from Nepal. You are possibly now asking what will happen to this money! Two weeks ago I transferred Aust$3000 to 3 villages situated in the remote area close to the earthquake epicentre. The village committee's met and decided that they wanted to use the donation money to buy rice, lentils, oil and salt to see them through the following months. They were supplied taupalins and tents from foreign aid. I was informed that the villages did not wish to use any donation money to purchase further taupalins and tents, as they wanted to try and begin rebuilding temporary shelters with what was available from their damaged home. This was their decision so we must abide by what they know is best. I am planning to return to Nepal in November (the dry season) with a support group, hopefully a few volunteer builders in tow! (let me know if you. or if you know of anyone interested in joining the team). We will travel the long journey by road and foot from Kathmandu to the villages of Majuwa and Darje. Whilst there we will assess the damage, before deciding how best to use the funds. 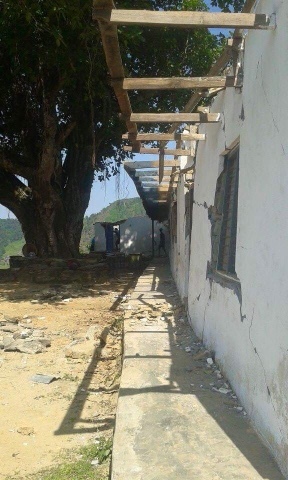 I know that Saraswasi School in Majuwa village has been totally destroyed (please see attached pics, destroyed buildings, and of the temporary school building made of tin). It is my mission to rebuild this school with as an Earth Bag building which will hopefully withstand damage, if there is another disaster. The building is cost effective as it is built by filling polyprotholene bags with mud, timber is also used, as well wire, and tin roofing. I have attached some pics to this email. The buiding that you see on the attached pics was only finished 2 weeks before the earthquake struck, and it was the only building standing amongst those destroyed in the epicentre. Money will also be used to buy buffalos and goats, and to help those who have not been able to rebuild their homes. We will be holding 2 fundraising events here on the Northern Beaches of Sydney. The first being a fun fitness event, (please see attached flyer) I hope those of you who live in Sydney are able to come along. The second scheduled for July, will be a Fundraising dinner/auction at Cinque Restaurant, Darly Street, Mona Vale. Invitations will be forwarded to you in the next couple of weeks.